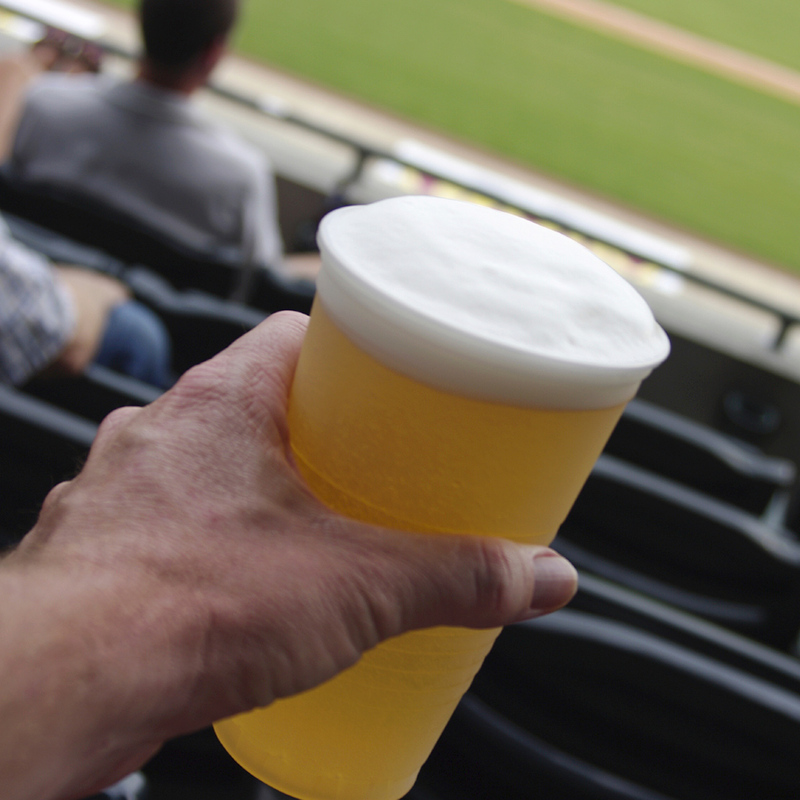 Imagine yourself nursing a large plastic cup full of domestic beer as you sit through the early innings of a baseball game. As the game goes on, it gets warmer and flatter until you just start tossing your peanut shells into it and quietly slide it under the seat next. Well the tragedy of undrinkable mid-game beer may soon be no more. Target Field in Minneapolis debuted self-serve beer kiosks over the weekend that work similarly to the soda fountains at movie theaters and convenience stores. To a point. Customers, after showing IDs, can purchase a 20-ounce cup and prepaid swipe cards of $10 or $20 (with $50 cards becoming available at next week’s All-Star game). The beer is measured and priced by the ounce (Bud and Bud Light at $.38/ounce, Shock Top and Goose Island 312 Urban Pale Ale for $.40/ounce) and the cards allow pours of up to 48 ounces of beer every 15 minutes. It’s not much of a limitation, but the stadium is placing personnel near the kiosks to monitor and “intercede should a beer drinker seem intoxicated.” Hopefully, they will be a little more useful than the personnel at self-serve checkouts we've experienced elsewhere. See the new beer machine below.